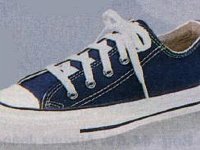 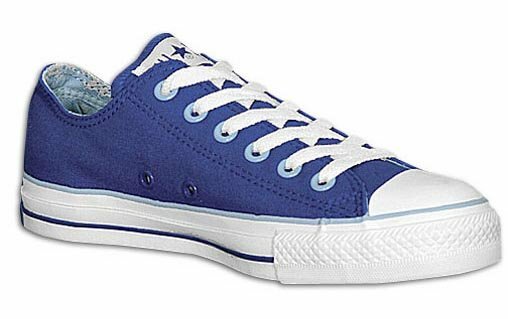 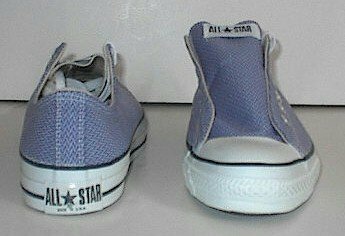 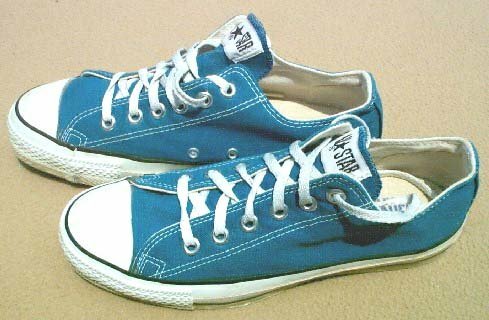 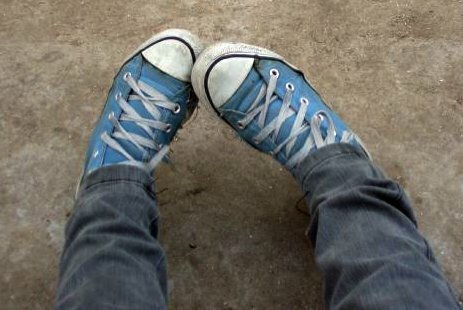 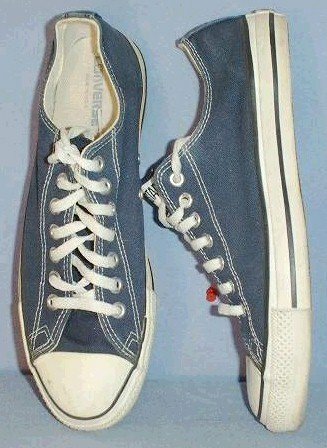 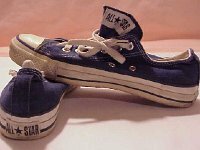 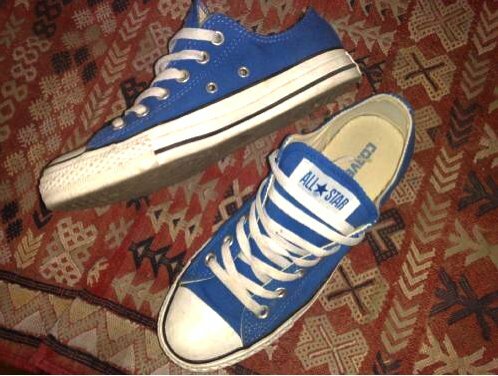 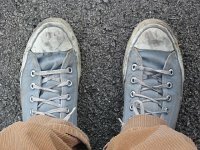 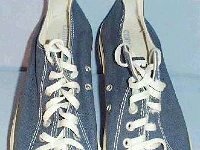 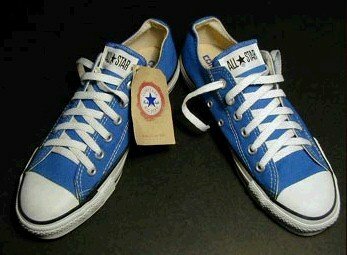 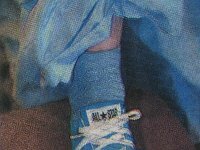 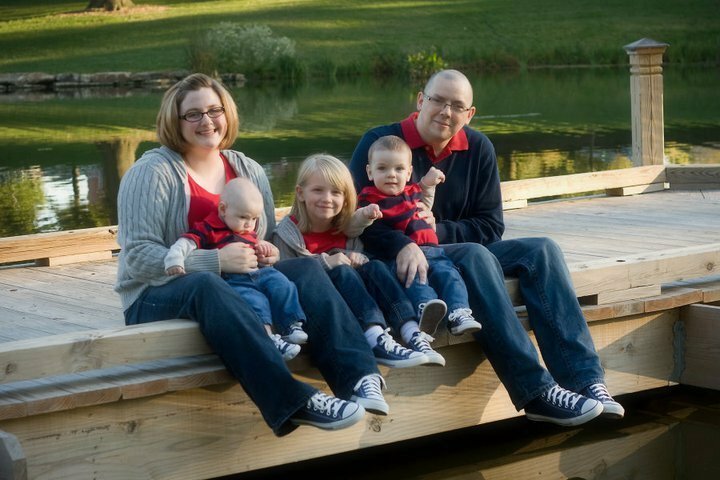 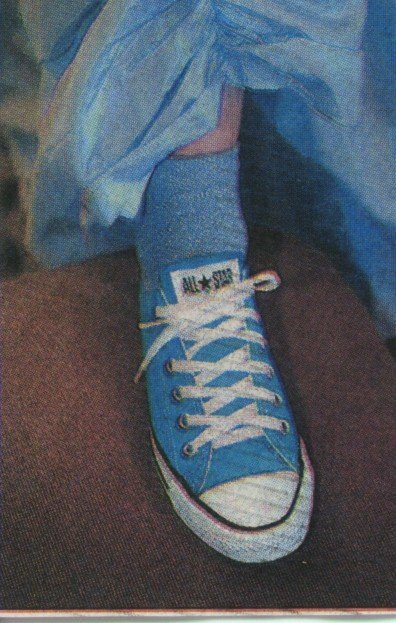 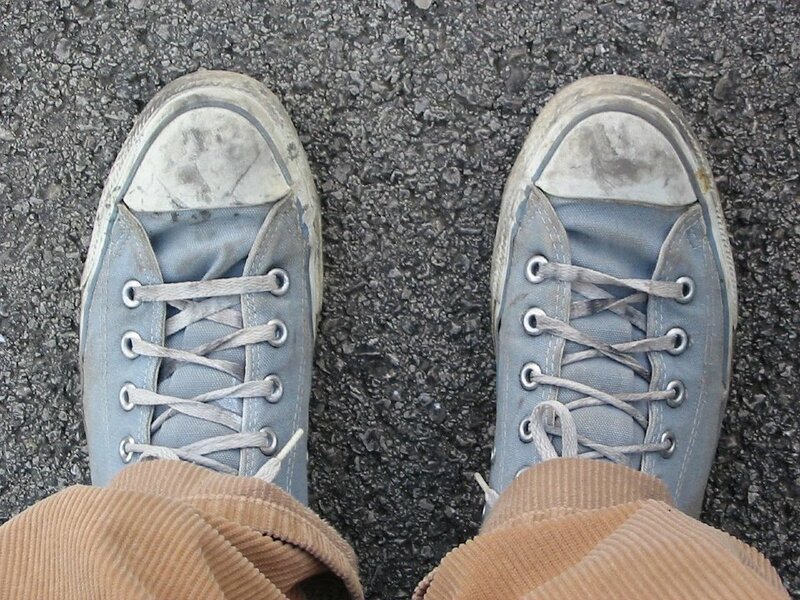 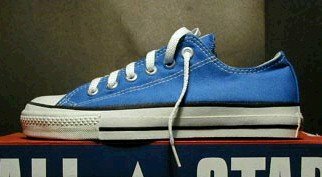 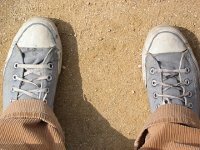 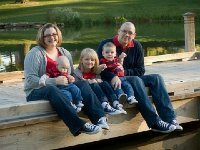 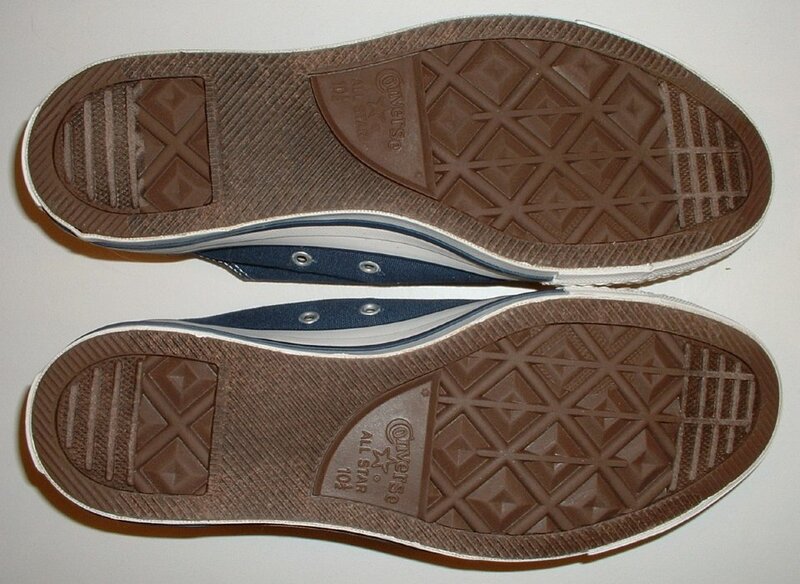 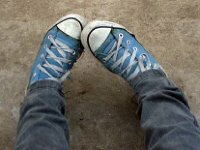 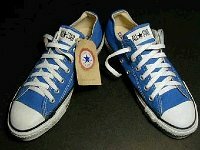 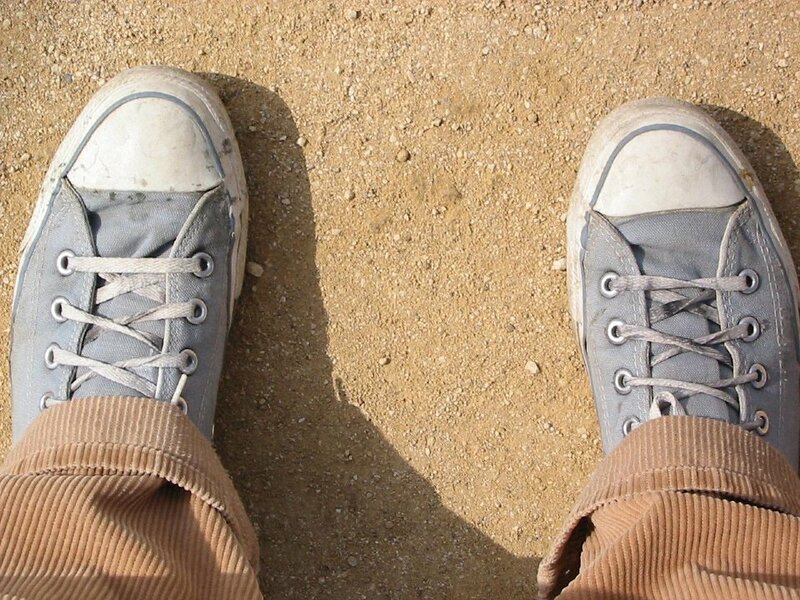 Photo gallery of blue low cut chucks. 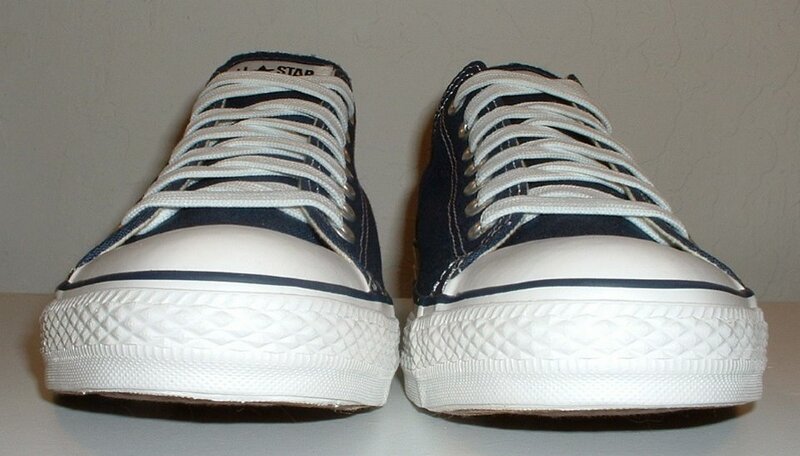 1 Blue Low Cut Chucks Inside view of a right navy blue low cut. 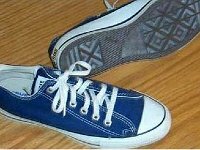 2 Blue Low Cut Chucks Outside view of a right navy blue low cut. 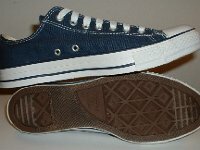 3 Blue Low Cut Chucks Inside view of a left navy blue low cut. 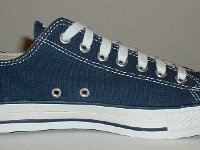 4 Blue Low Cut Chucks Outside view of a left navy blue low cut. 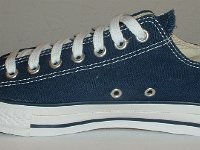 5 Blue Low Cut Chucks Rear view of navy blue low cut chucks. 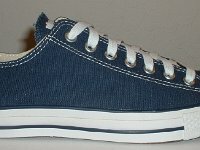 6 Blue Low Cut Chucks Front view of navy blue low cut chucks. 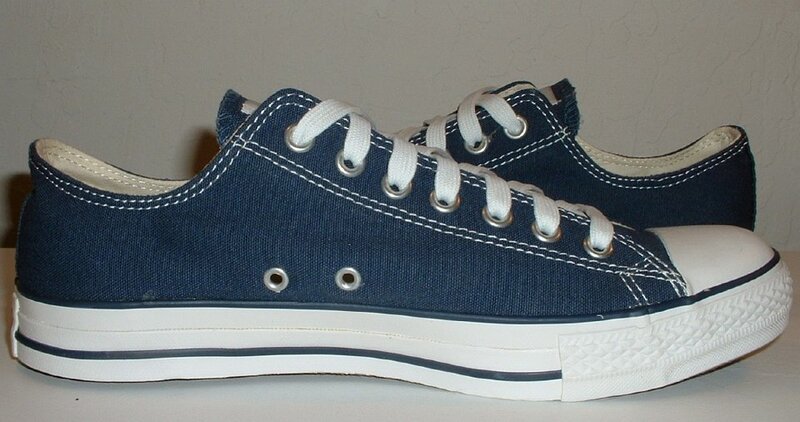 7 Blue Low Cut Chucks Angled side view of navy blue low cut chucks. 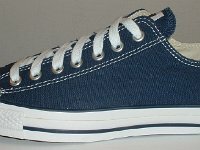 8 Blue Low Cut Chucks Top view of navy blue low cut chucks. 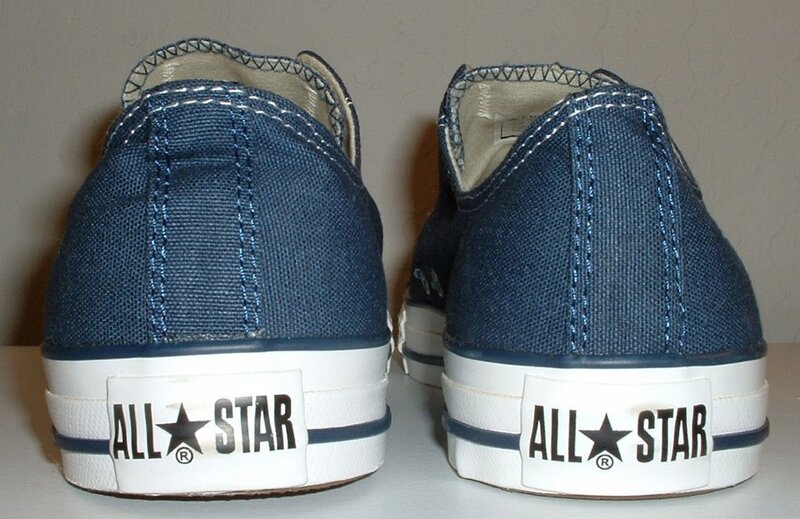 9 Blue Low Cut Chucks Closeup of the All Star patches on navy blue low cut chucks. 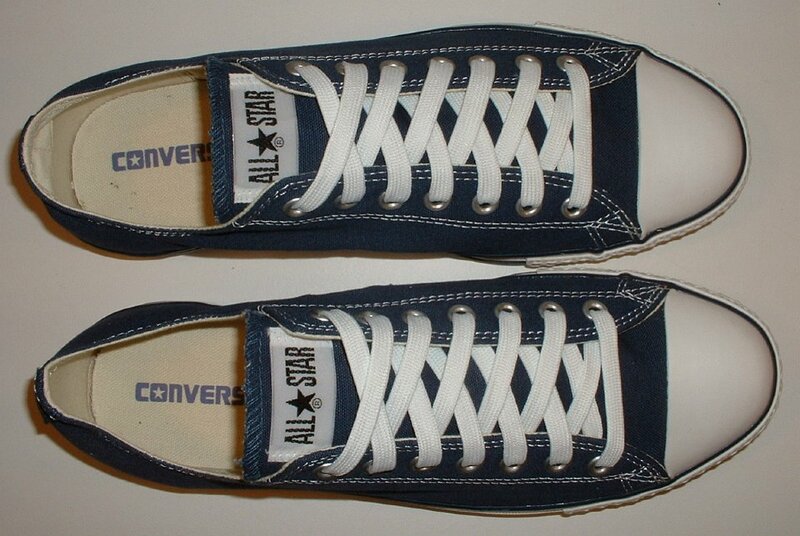 10 Blue Low Cut Chucks Inside views of navy blue low cut chucks. 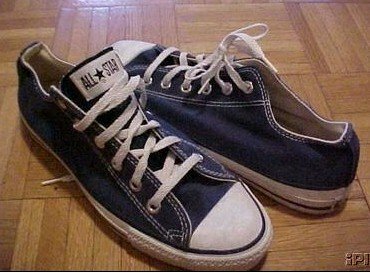 11 Blue Low Cut Chucks Outside views of navy blue low cut chucks. 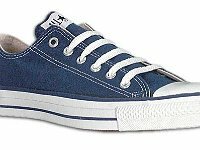 12 Blue Low Cut Chucks Angled front view of navy blue low cut chucks. 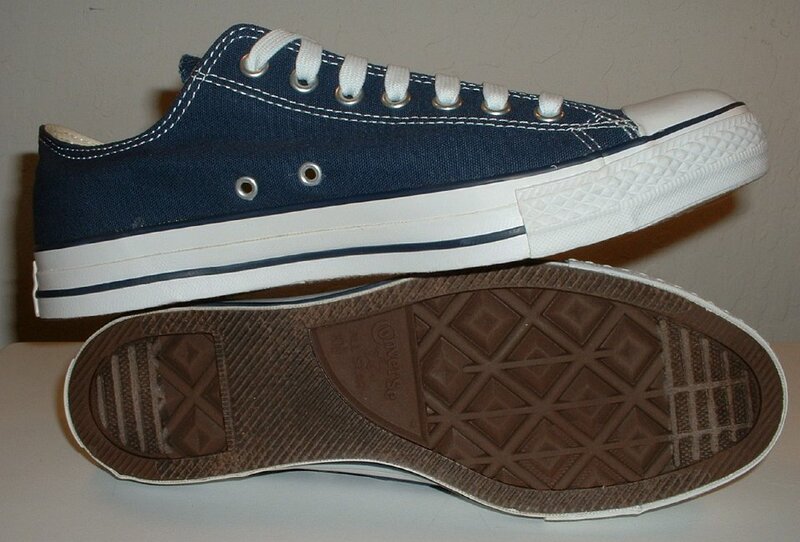 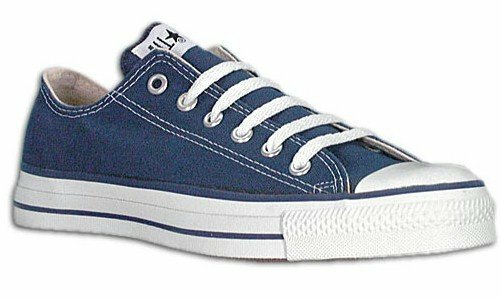 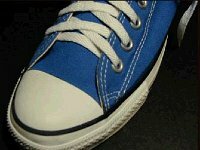 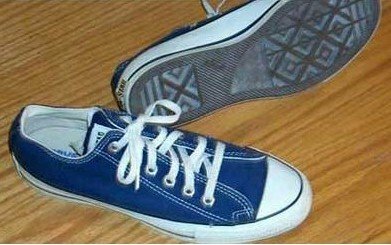 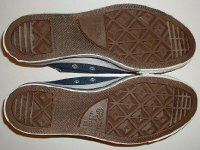 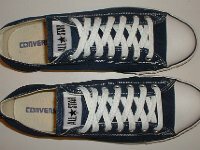 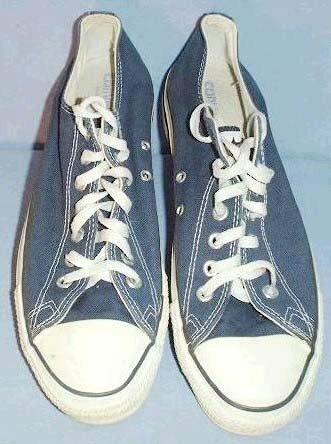 13 Blue Low Cut Chucks Inside and sole views of navy blue low cut chucks. 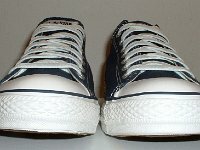 14 Blue Low Cut Chucks Sole views of navy blue low cut chucks. 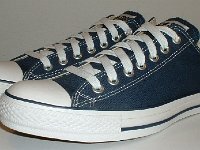 15 Blue Low Cut Chucks Side view of a left navy blue low cut chuck. 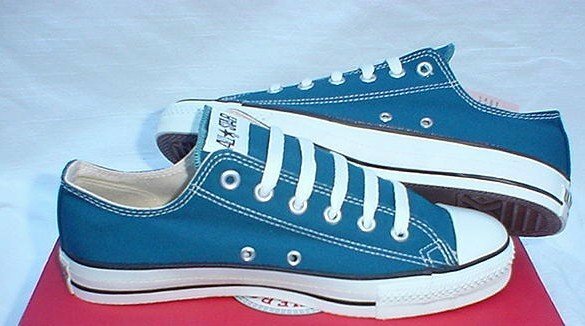 16 Blue Low Cut Chucks Side views of blue zigzag pattern low cuts. 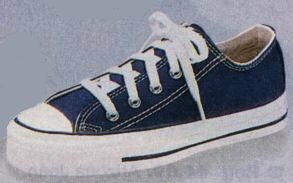 17 Blue Low Cut Chucks Front and rear views of blue zigzag pattern low cuts. 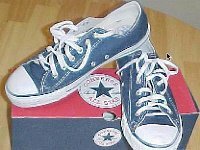 18 Blue Low Cut Chucks Denim blue low cuts, top view. 19 Blue Low Cut Chucks Top and side views of denim blue low cuts. 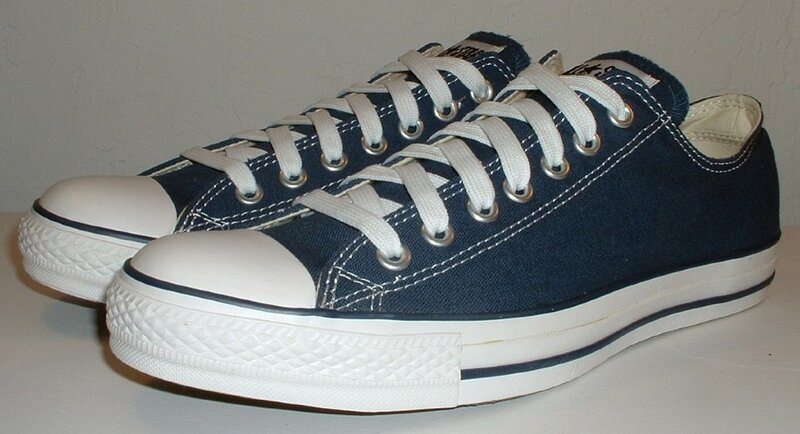 20 Blue Low Cut Chucks Angled side view of a right dusk blue low cut. 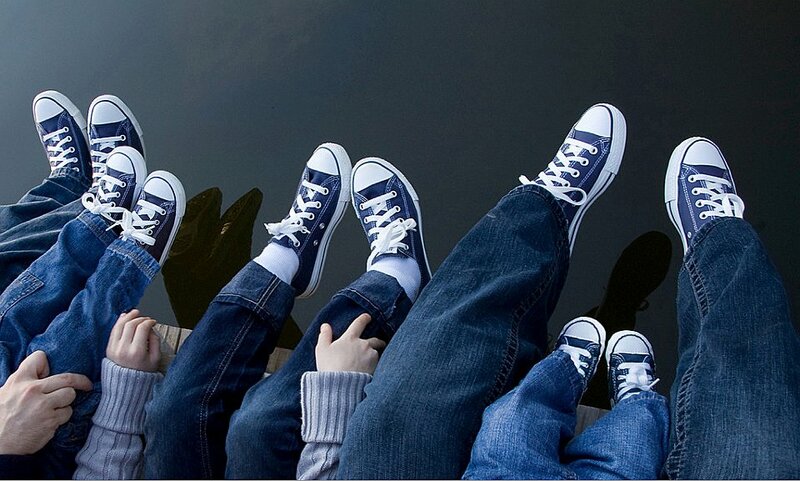 21 Blue Low Cut Chucks Family wearing blue chucks, shot 1. 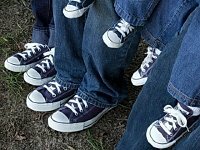 22 Blue Low Cut Chucks Family wearing blue chucks, shot 2. 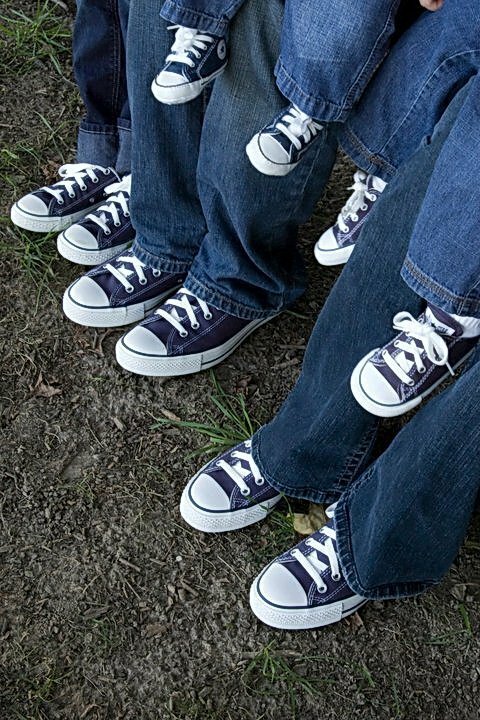 23 Blue Low Cut Chucks Family wearing blue chucks, shot 3. 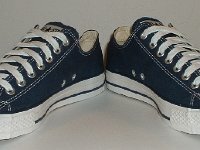 24 Blue Low Cut Chucks Angled side views of navy blue low cut chucks. 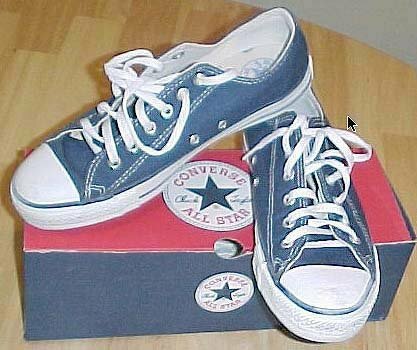 25 Blue Low Cut Chucks Five views of navy blue low cut chucks. 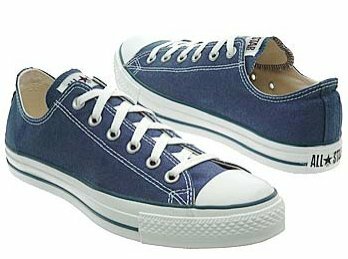 26 Blue Low Cut Chucks Navy blue low cuts, rear and side views. 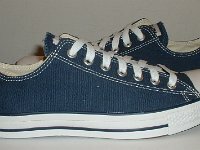 27 Blue Low Cut Chucks Side view of a right navy blue low cut. 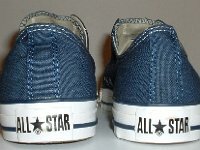 29 Blue Low Cut Chucks Blue low cut chucks, top and sole views. 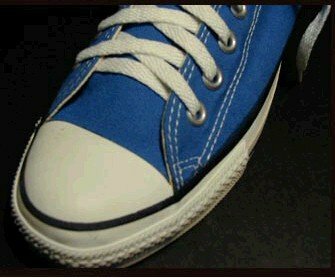 30 Blue Low Cut Chucks Top view of bright blue low cuts. 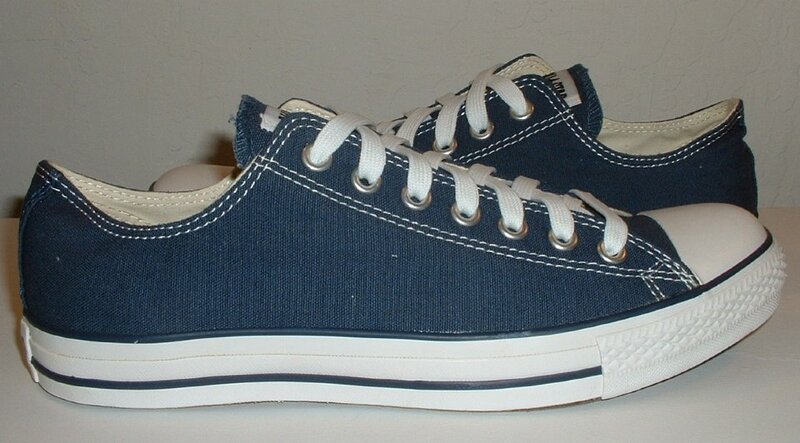 31 Blue Low Cut Chucks Angled side view of a right navy blue low cut. 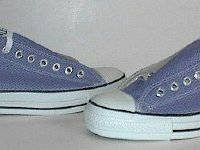 32 Blue Low Cut Chucks Side views of straight laced bright blue low cuts. 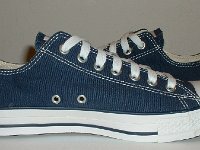 34 Blue Low Cut Chucks Navy and light blue low cut, angled side view. 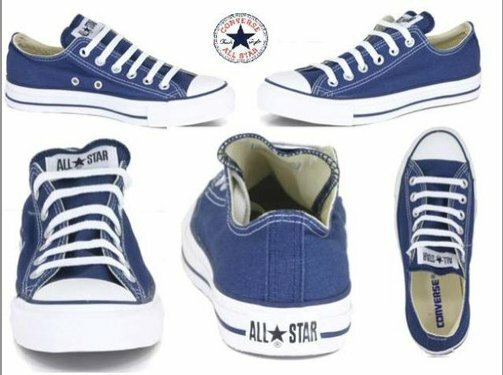 35 Blue Low Cut Chucks Side and top views of royal blue low cuts. 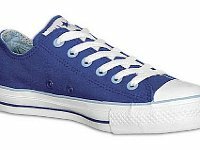 36 Blue Low Cut Chucks Top view of royal blue low cuts. 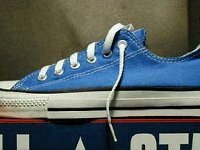 37 Blue Low Cut Chucks Side view of a left royal blue low cut. 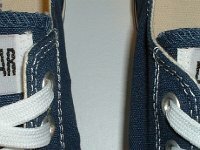 38 Blue Low Cut Chucks Closeup of the toe cap of a left royual blue low cut. 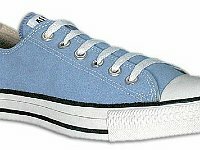 39 Blue Low Cut Chucks Wearing sky blue low cut, top view shot 1. 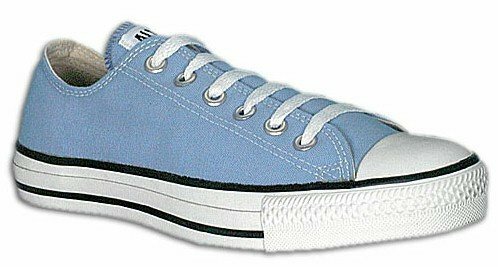 40 Blue Low Cut Chucks Wearing sky blue low cut, top view shot 2. 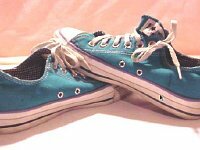 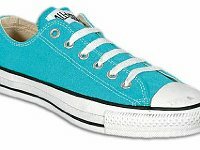 41 Blue Low Cut Chucks Wearing turquoise low cuts. 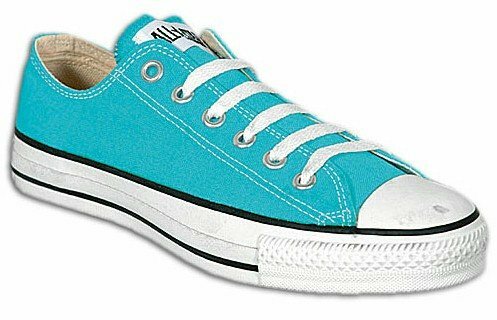 42 Blue Low Cut Chucks Angled side views of turquoise low cuts. 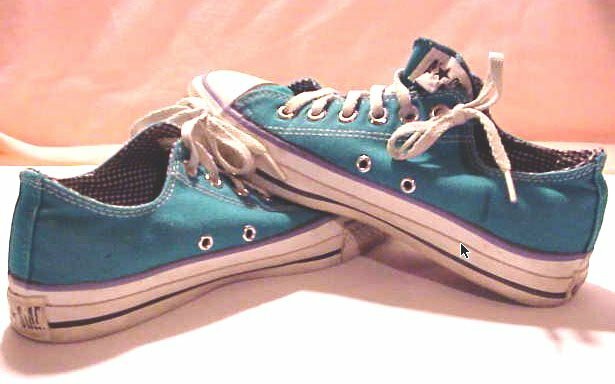 43 Blue Low Cut Chucks Angled side view of a right turquoise low cut. 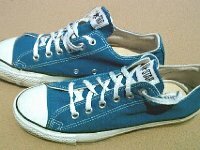 44 Blue Low Cut Chucks Caribbean Blue Low Cuts, top view. 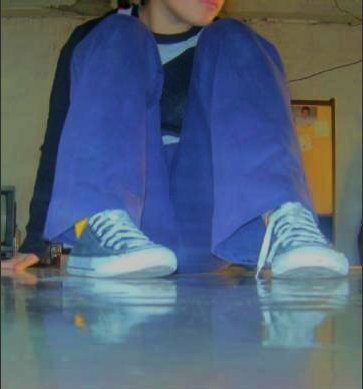 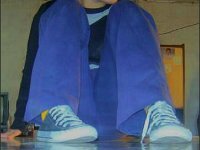 45 Blue Low Cut Chucks Boy seated on the floor wearing blue low cuts. 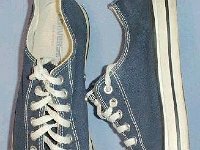 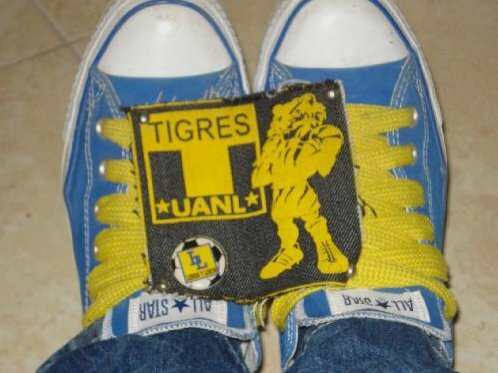 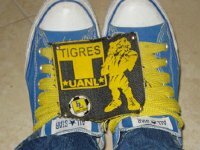 46 Blue Low Cut Chucks Wearing blue lowcuts with wide yellow shoelaces. 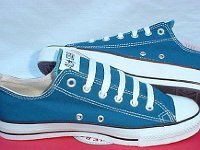 47 Blue Low Cut Chucks Wearinig sky blue low cuts, top view.